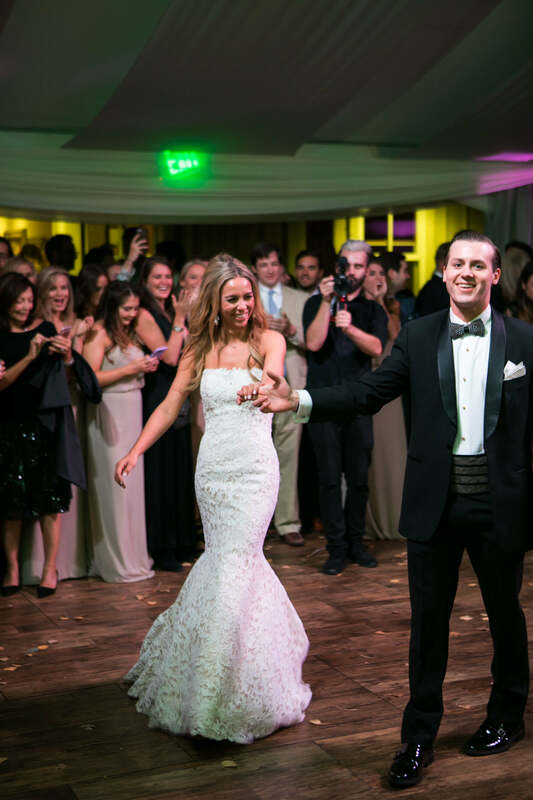 Though they were best friends during high school, Dulaney and Craig took their relationship to the next level after college. 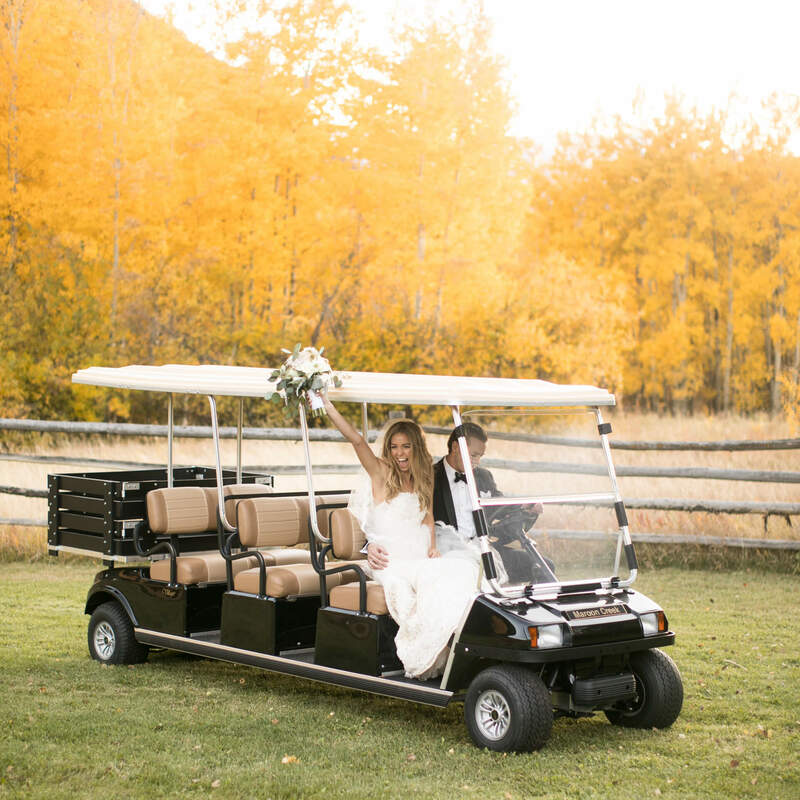 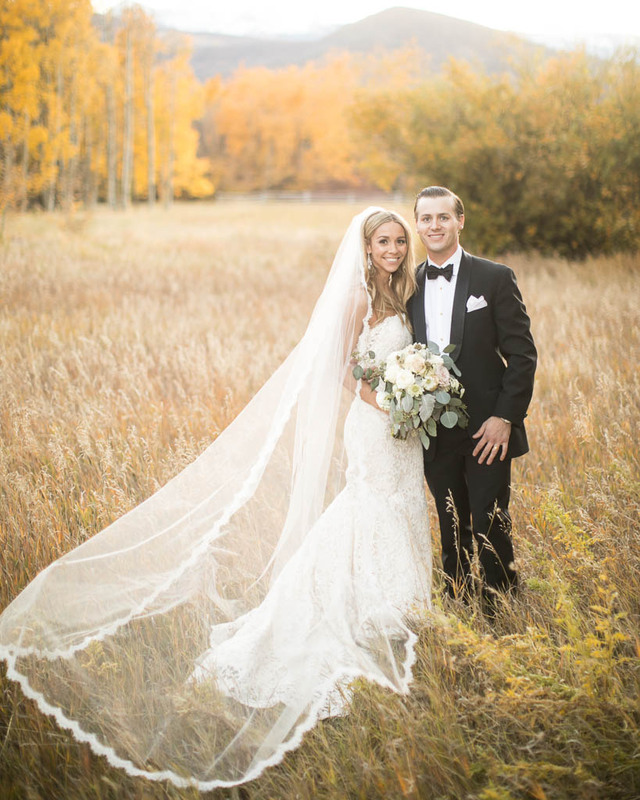 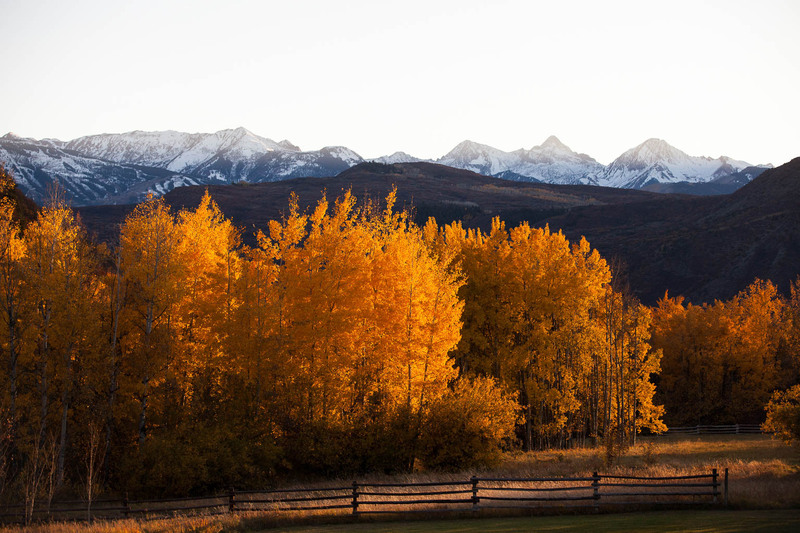 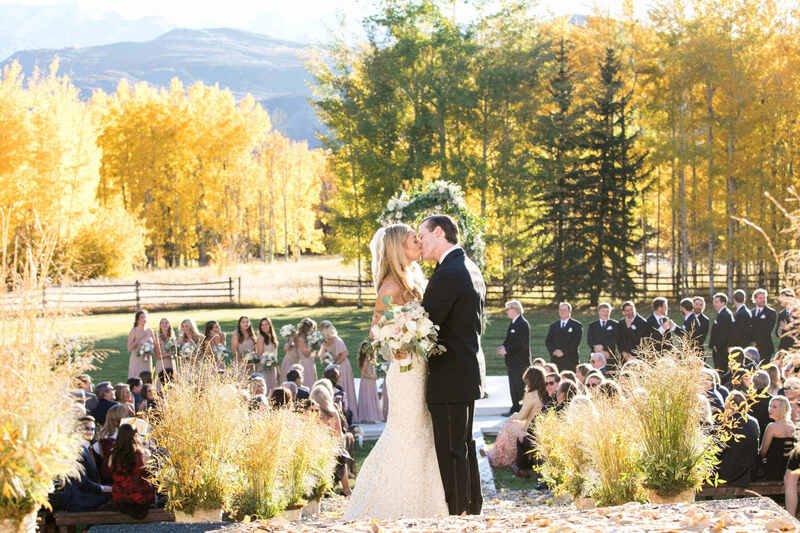 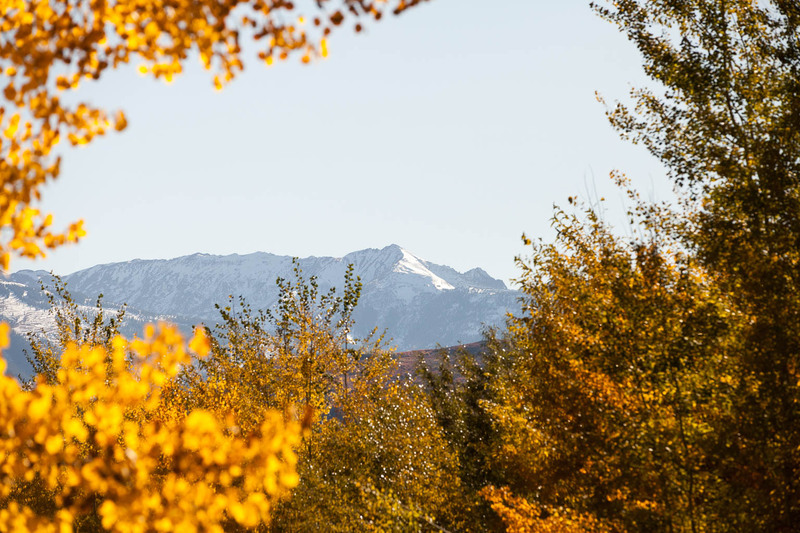 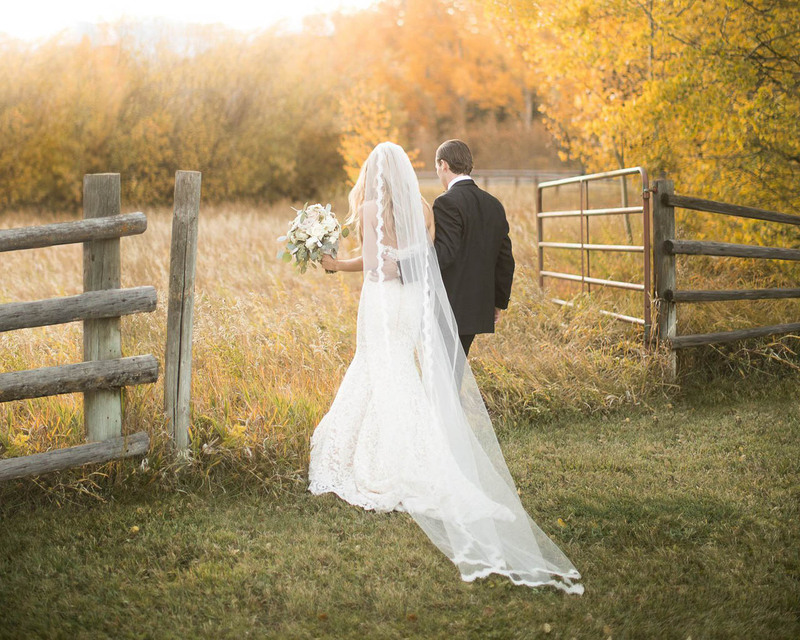 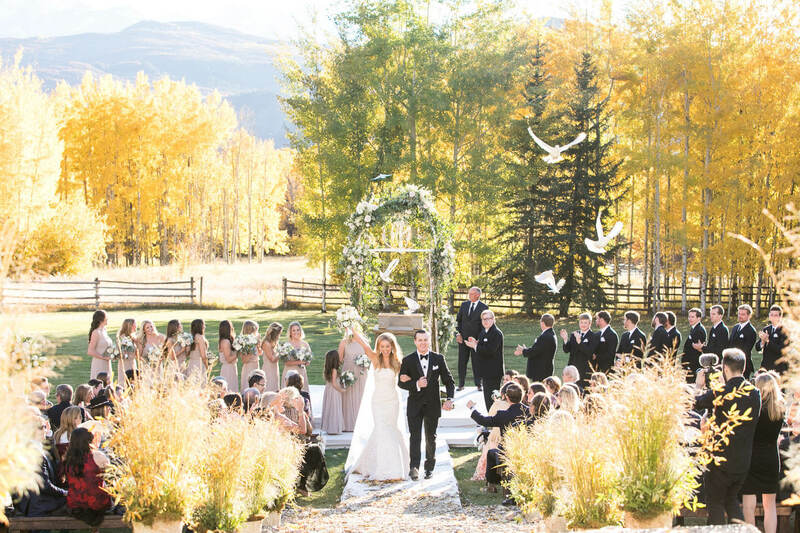 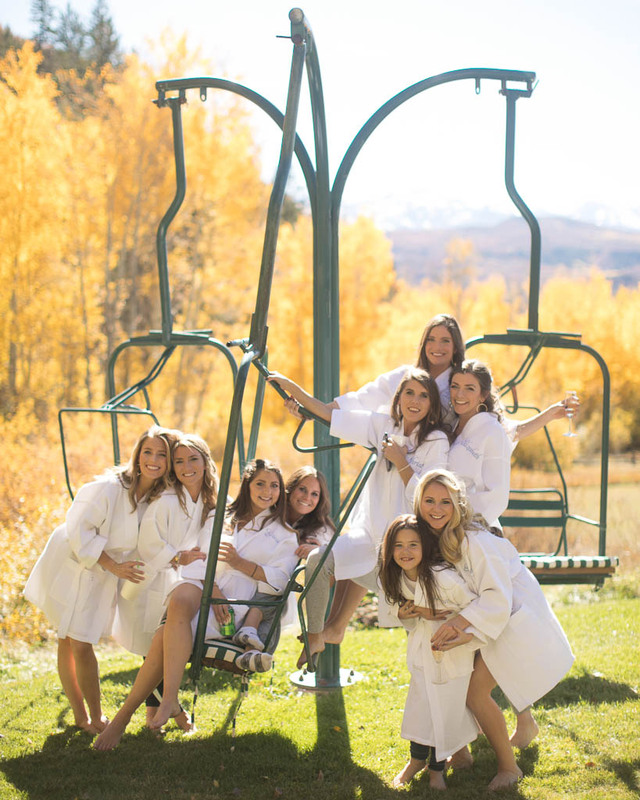 While visiting Woody Creek, Colorado, the groom proposed to his beloved while taking photos of the fall foliage. 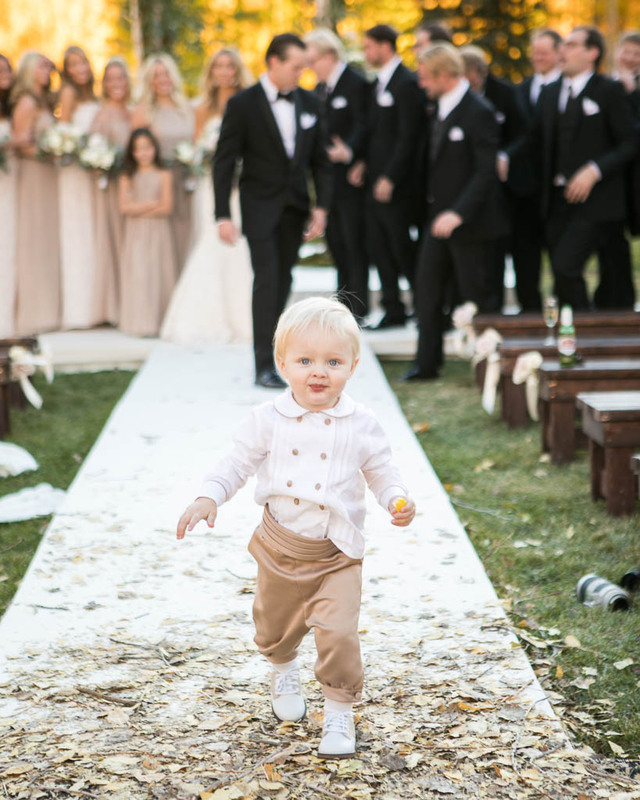 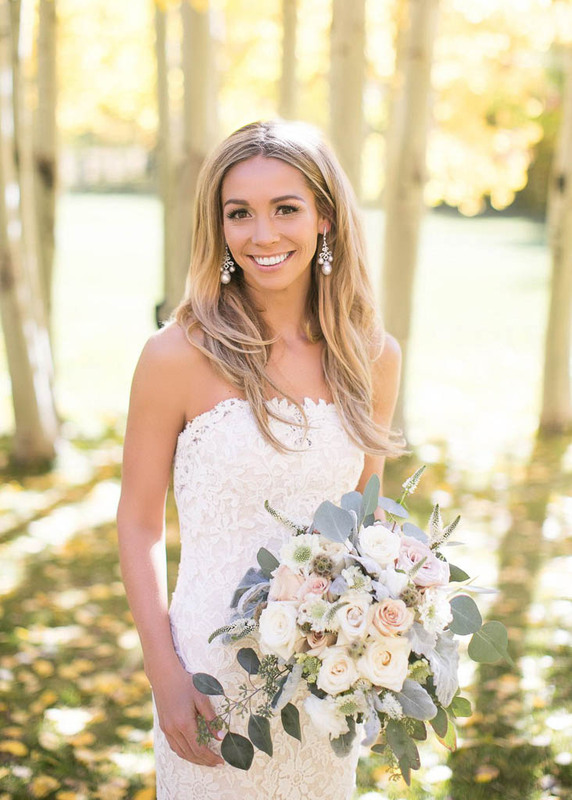 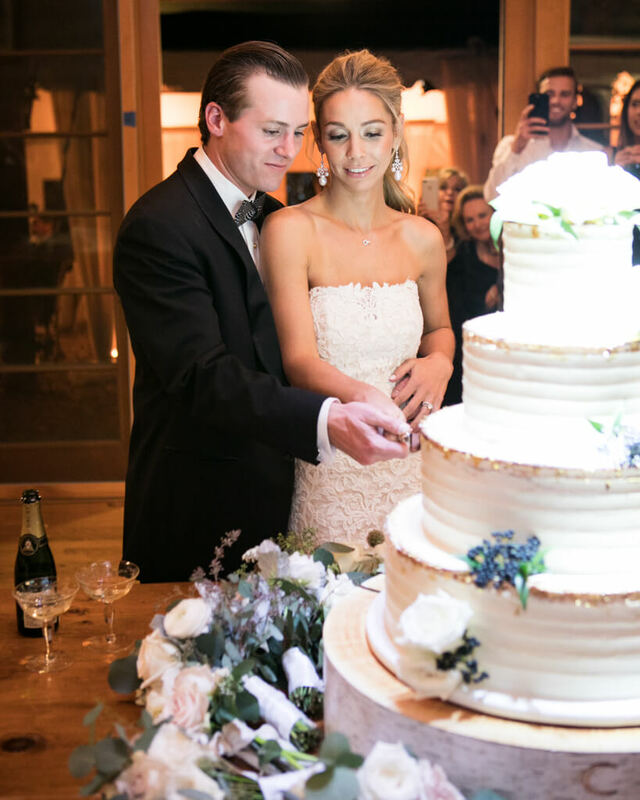 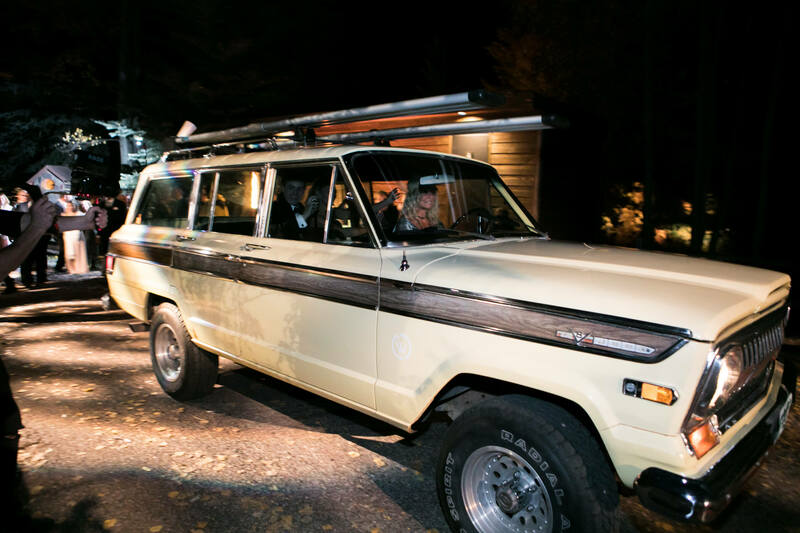 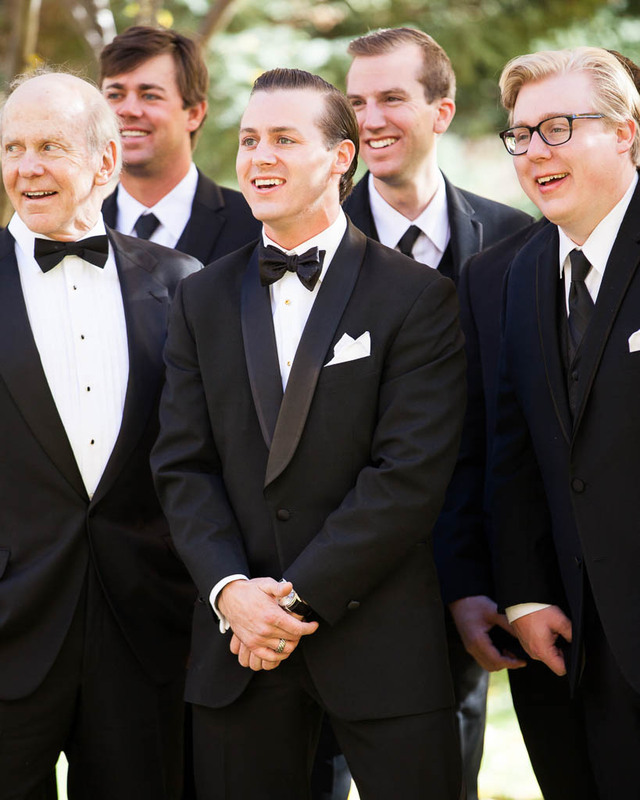 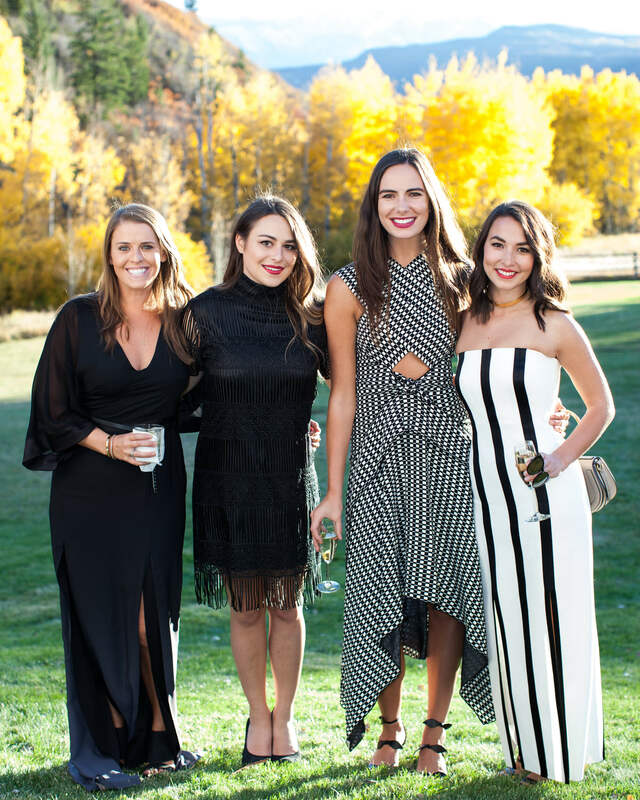 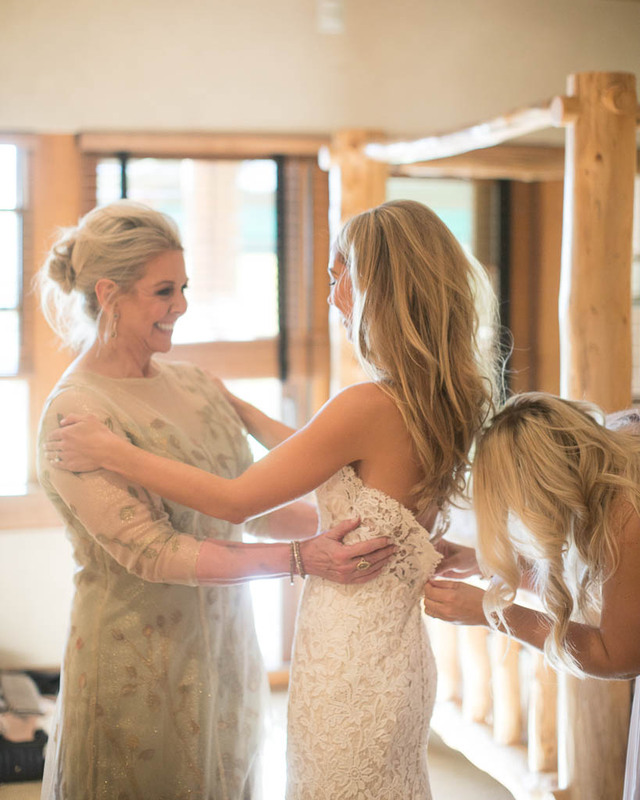 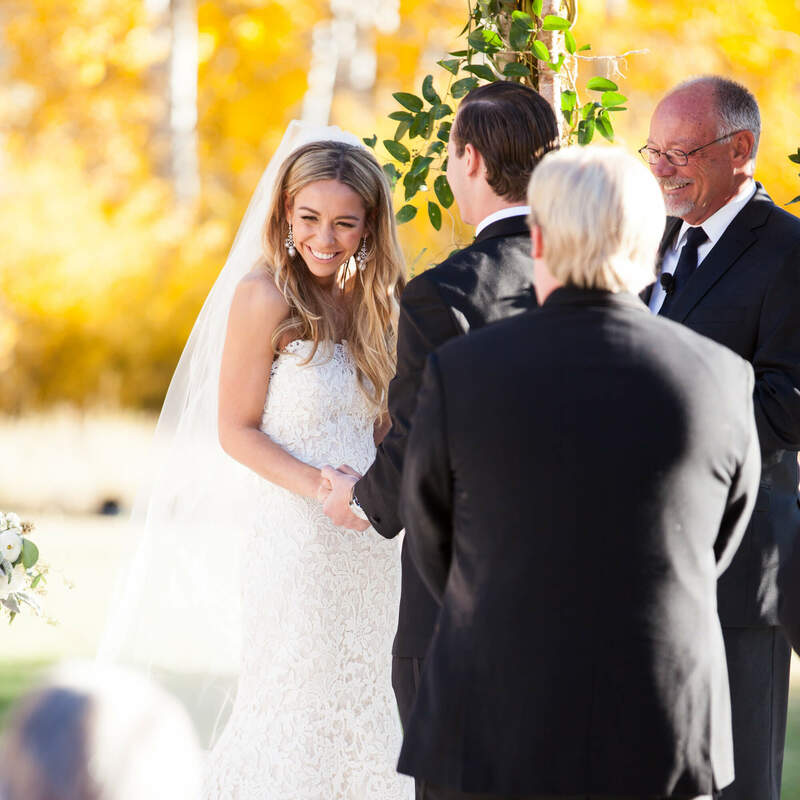 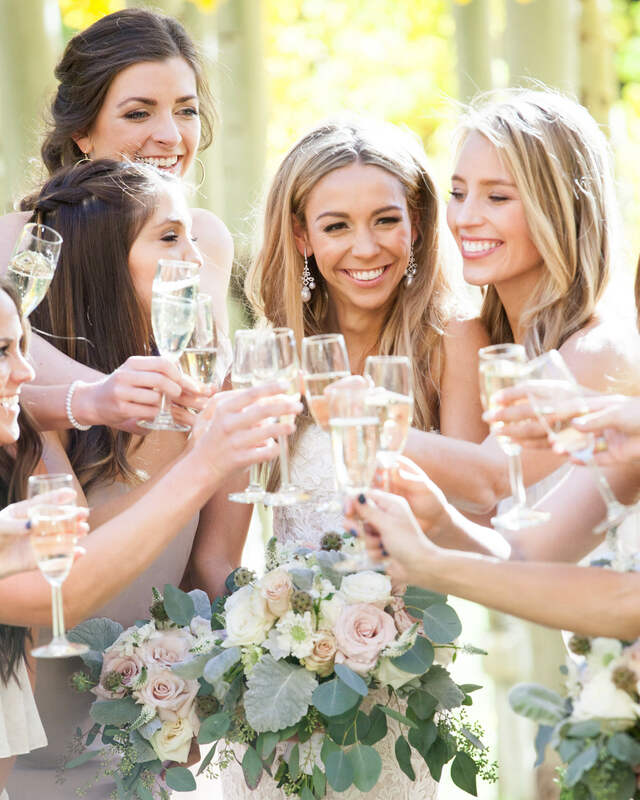 Though they initially planned to wed in their hometown of Dallas, the couple decided 90 days before the big day to return to their proposal location for a celebration at the Colorado home of the bride’s parents. 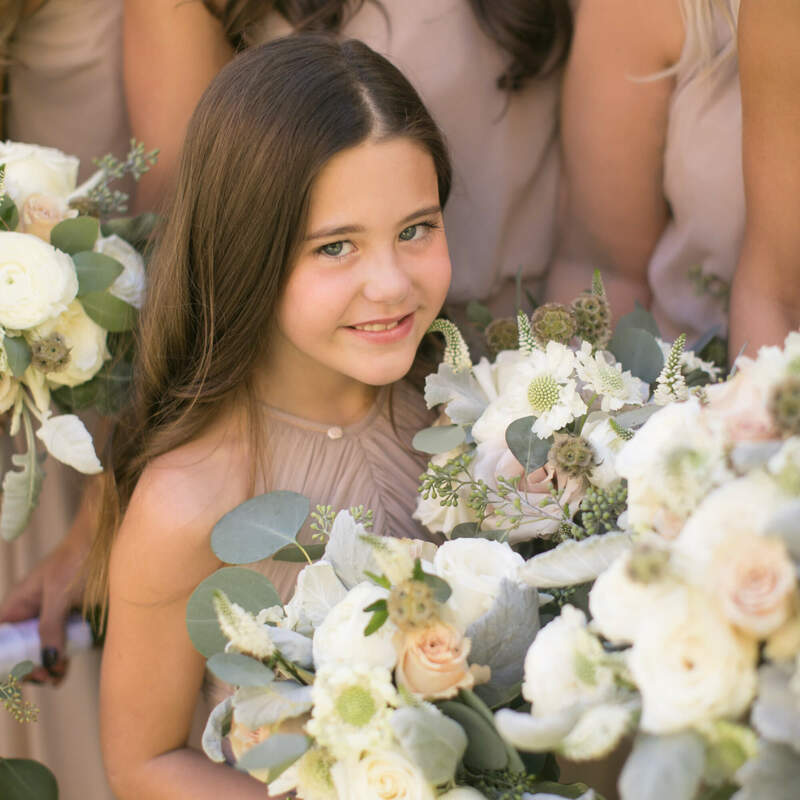 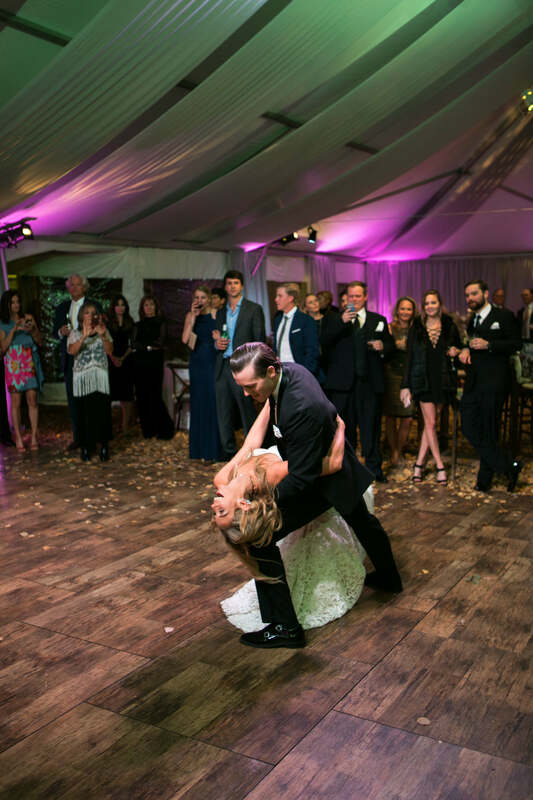 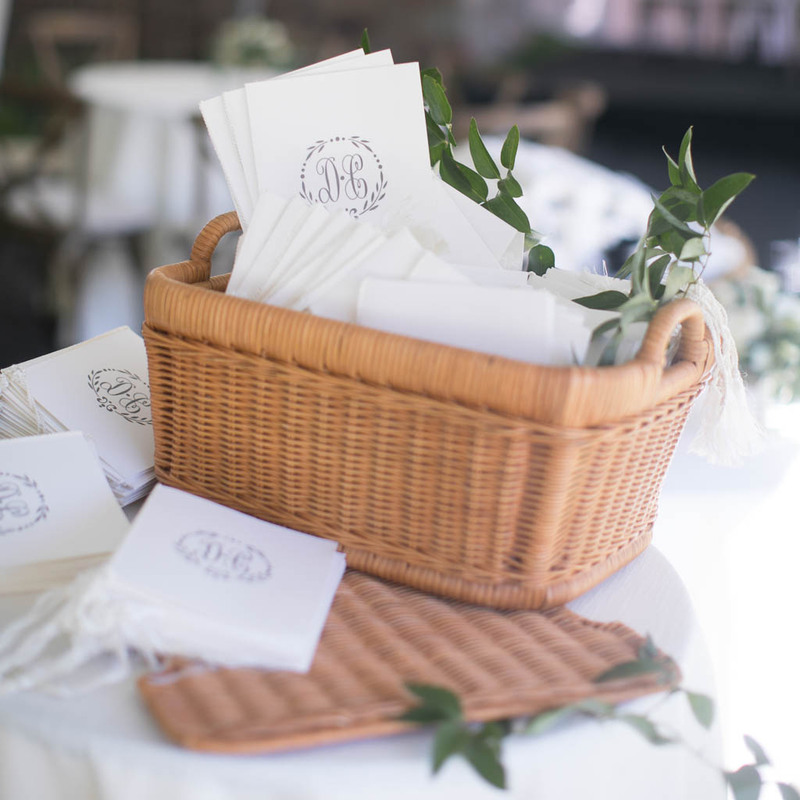 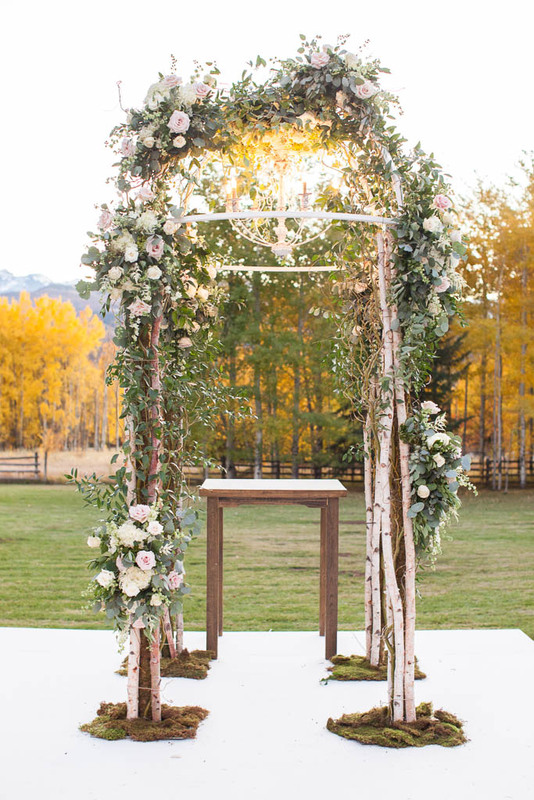 Their planner Lee Logan was instrumental in the coordination, making the bride’s vision of an “enchanted forest” come to life with the help of Design Works. 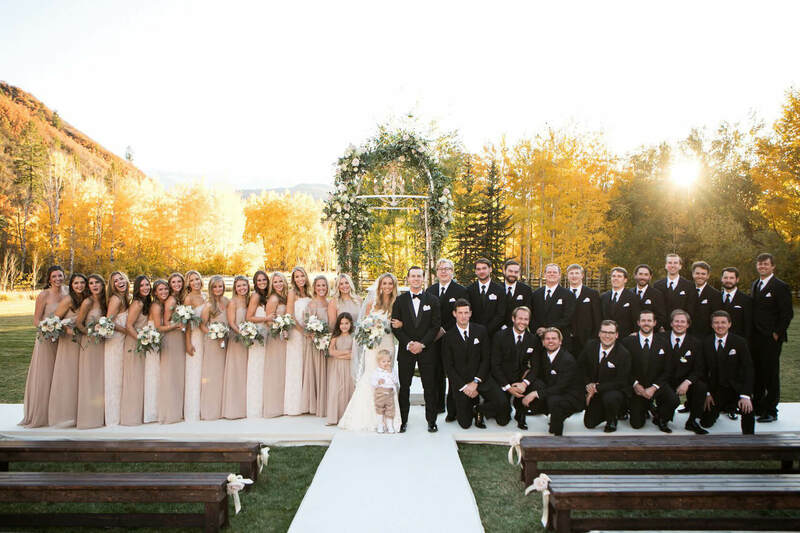 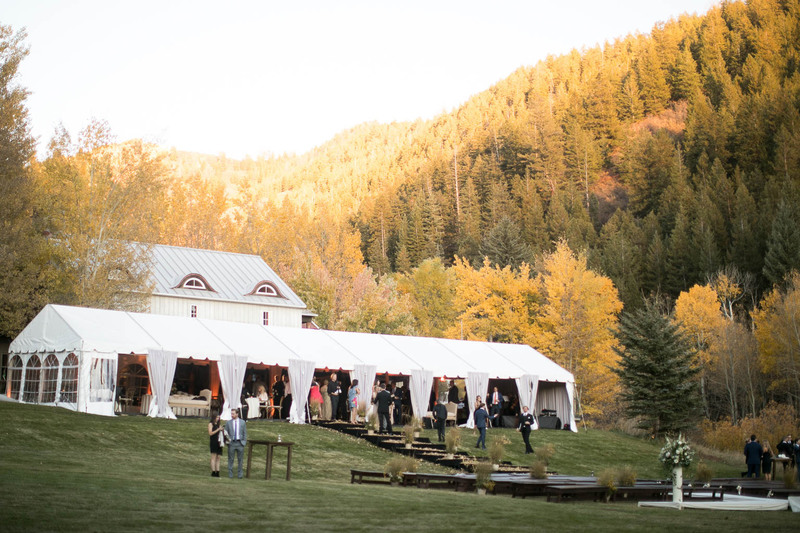 Friends and family found their seats on wooden benches facing a gorgeous vista of the autumn landscape to witness the nuptials. 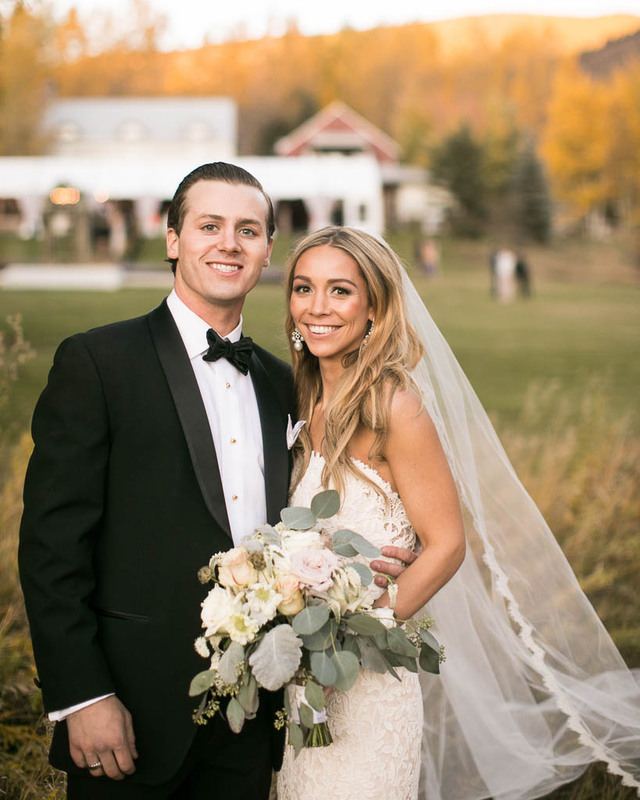 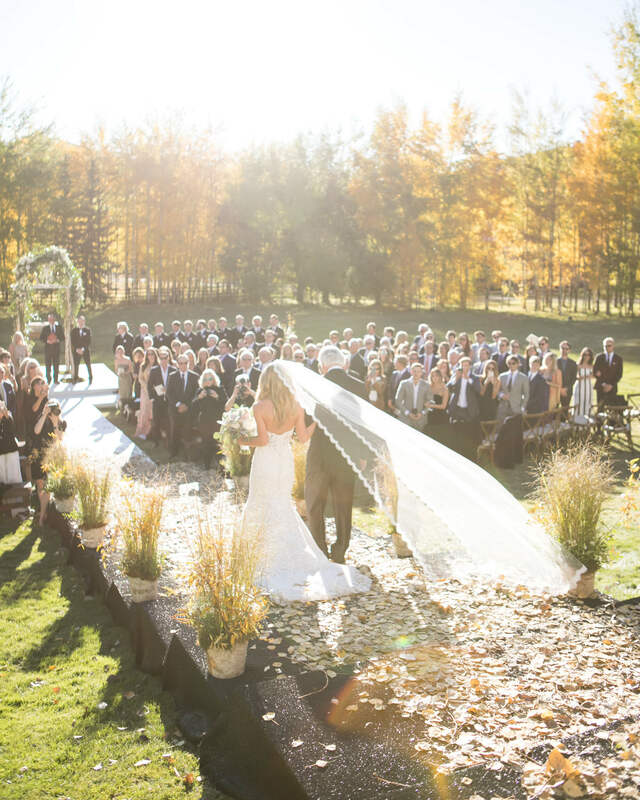 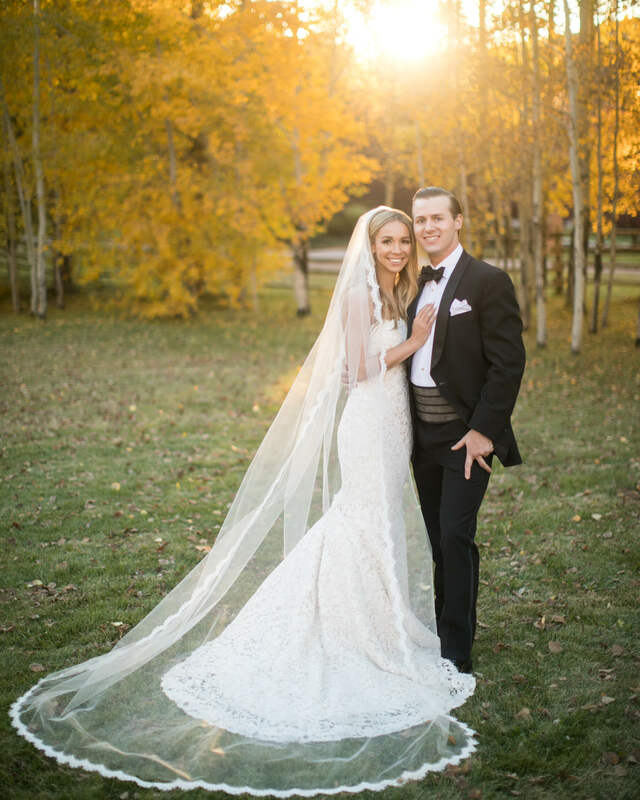 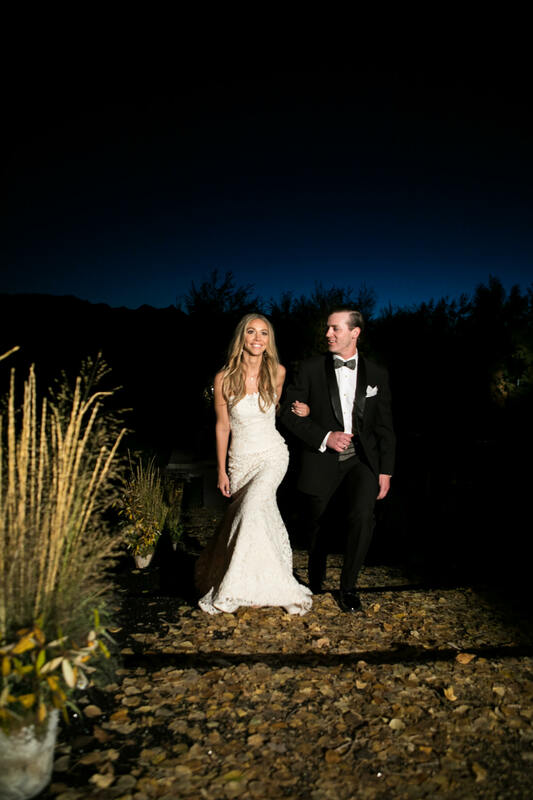 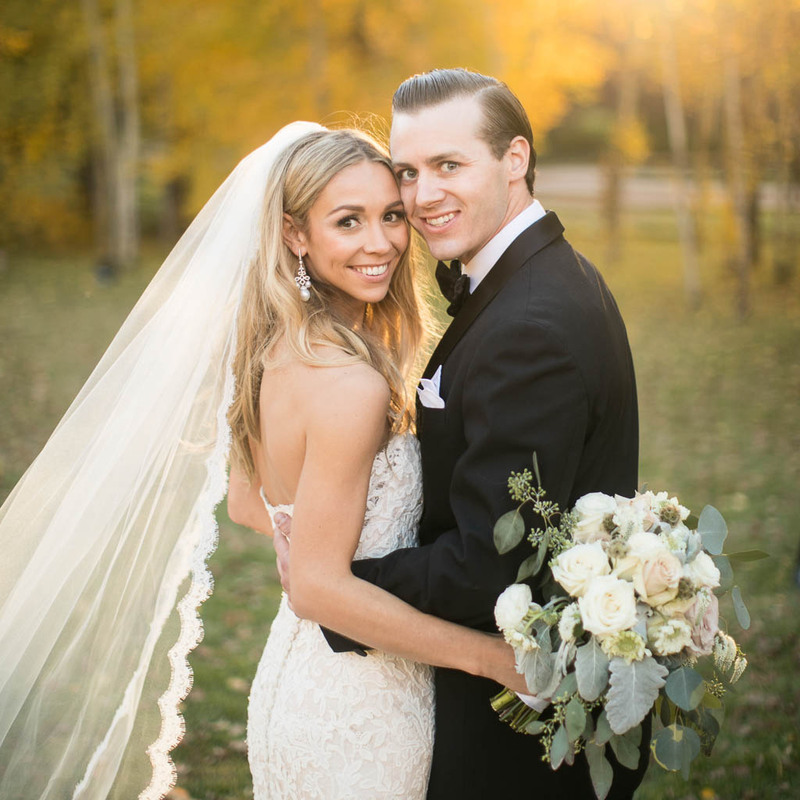 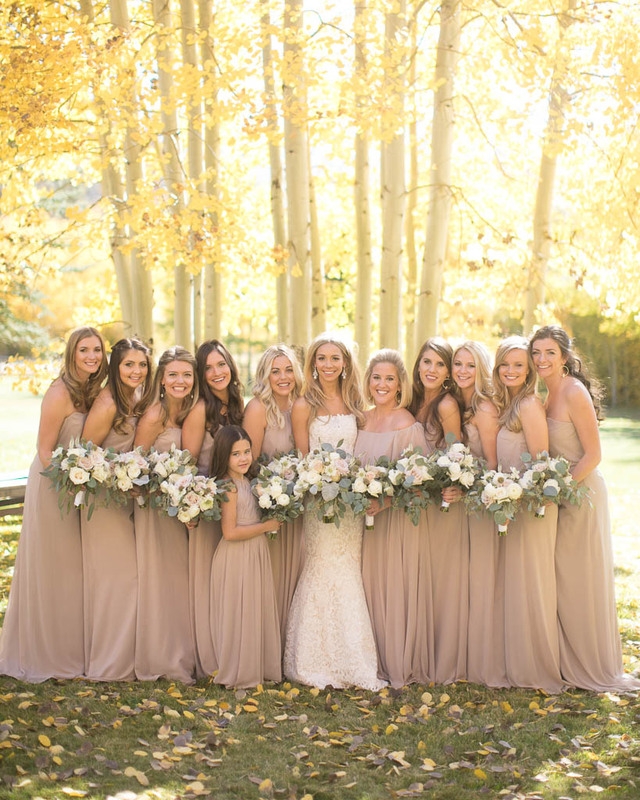 The bride, who was gorgeous in an Ines Di Santo gown and lace-trimmed veil, met her groom beneath a beautiful arbor made of birch branches enveloped with lush greenery and soft-hued blooms to set the tone for the rustic-elegant soirée.